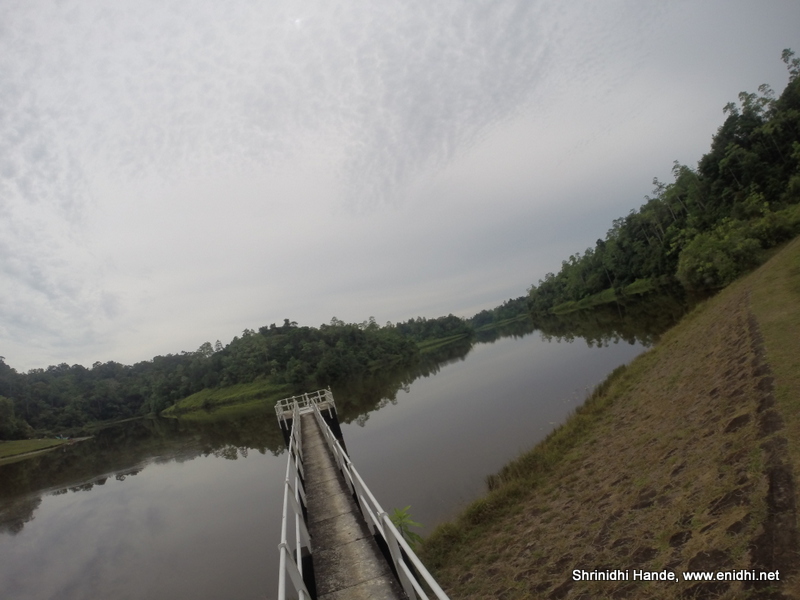 As I was looking for places to explore around Galle, Hiyare Reservoir came up. I read more about Hiyare and it looked like worth visiting. Hiyare Reservoir was almost on the way to Nandana tea factory (separate post on that soon), hence I decided to include visiting Hiyare Reservoir in my Srilanka trip plan. 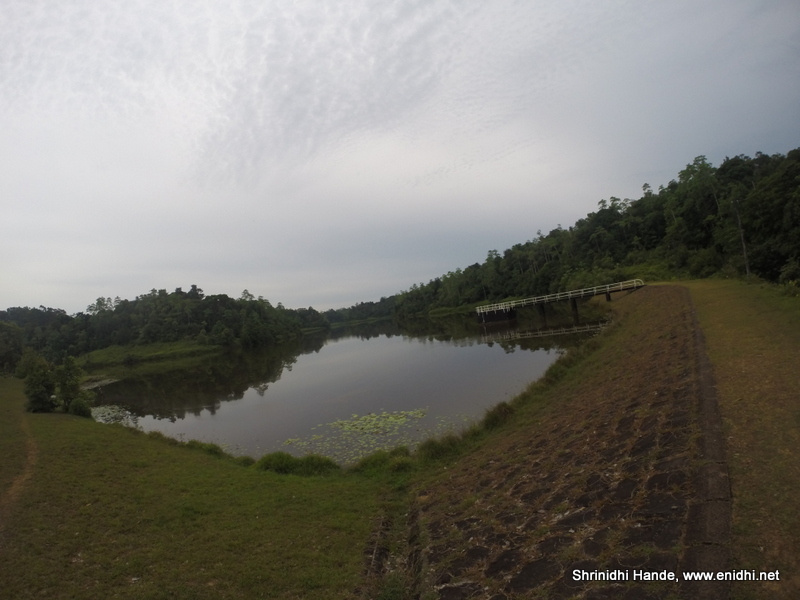 Hiyare reservoir is about 17-20 kms from Galle, towards Udugama and 1 km off the main road. Hiyare Reservoir as such is not huge, but the rainforest in the region is said to be of 600 acres. We spent about an hour there. Few abandoned boats provided for good photo ops. Middle of May, water level was just about half its normal capacity. Couldn't figure out if it is Ok for visitors to do trekking in this region. There was even a tree house, but it looked too fragile to climb. If well maintained, this can be a good camping site. When we went there, a wedding photo op was going on. A rescue centre for wild animals is also operated nearby. What you see in the right side picture is the pole used for Stilt fishing. More on that in a separate post. Here’s the map. If you are bored with beaches around Galle then you can spend a few hours to go uphill a bit and explore the Reservoir. Overall Hiyare region is very pleasant for nature lovers. Do include Hiyare in your plan while visiting Galle region. You won't regret half a day well spent. A beautiful Post.. Well described thru' your colorful photographs of the Place! I like the way you use google maps. within your blogs. Good read and nice photographs! Beautiful pics, very well written.